Around 600 B.C. the first Samoa inhabitants migrated from the West by way of Indonesia, Fiji, Vanuatu and Tonga. 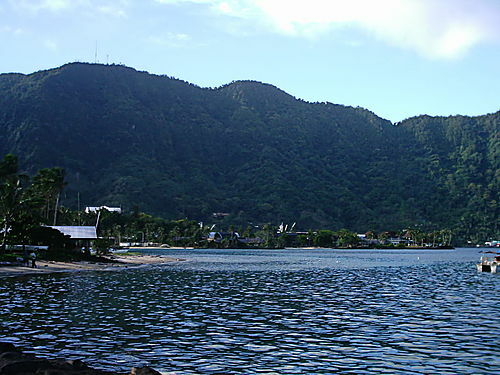 American Samoa had at least an 800-year history of contact with Fiji and Tonga before the Samoan Islands were discovered by Dutch explorer Jacob Roggeveen in 1722. American Samoa has been territory of the United States since the signing of the Deed of Cession on April 17, 1900. 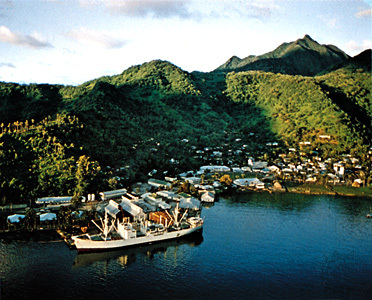 In 1940, the Port of Pago Pago was used as a training and staging area for the U.S. Marine Corps. Since World War II, Samoa has become a modern, self-governing political system with a government divided into three branches similar to that of the United States. 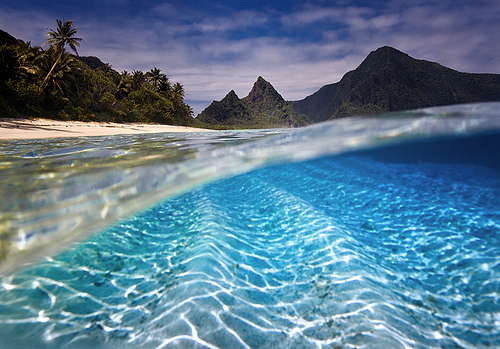 American Samoa Islands have a total land area of 77 square miles. They are located 14 degrees south of the equator, 172 degrees meridian west, and at the center of Polynesia. American Samoa's main islands are Manu'a, Rose Atoll, Swains Island, Tutuila, Ta'u, Ofu, Olosega, Aunu'u, and Nu'utele. American Samoa has a tropical climate with two distinct seasons. The hottest is the rainy season from December to April. Temperatures during the hot season go up to about 90 degrees, and about 8 inches of rain will fall on a typical day. May to November is a drier and cooler season, with breezy evenings and less humidity. 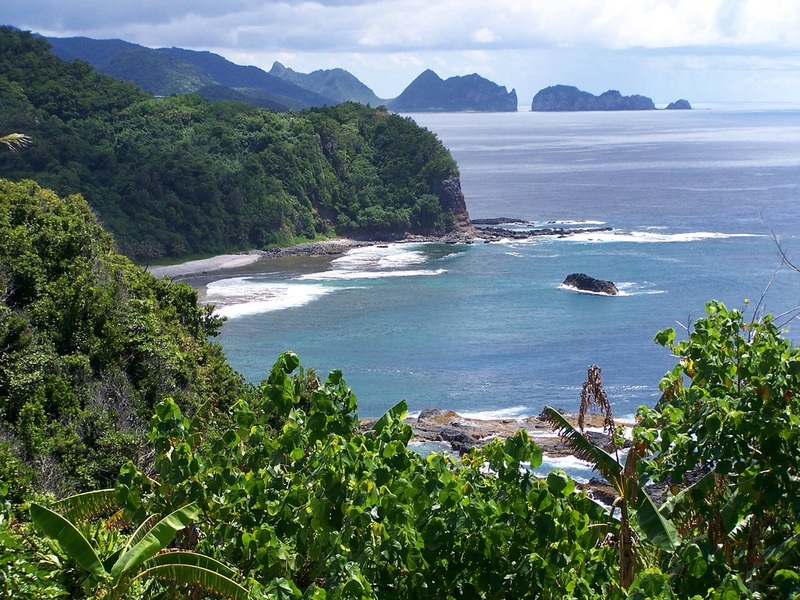 One of American Samoa's most famous attractions is the National Park of American Samoa. The National Park was authorized by the U.S. Congress in 1988. Facilities are slow in coming and little has been developed except a few hiking trails. The park has more than 10,000 acres. Three thousand acres are on Tutila and 6,000 are in the Manu'u Islands. Unlike other U.S. National Parks, The National Park of American Samoa is known for its beautiful shoreline, magnificent beaches, cliffs that drop into the sea and mist-shrouded mountain peaks. 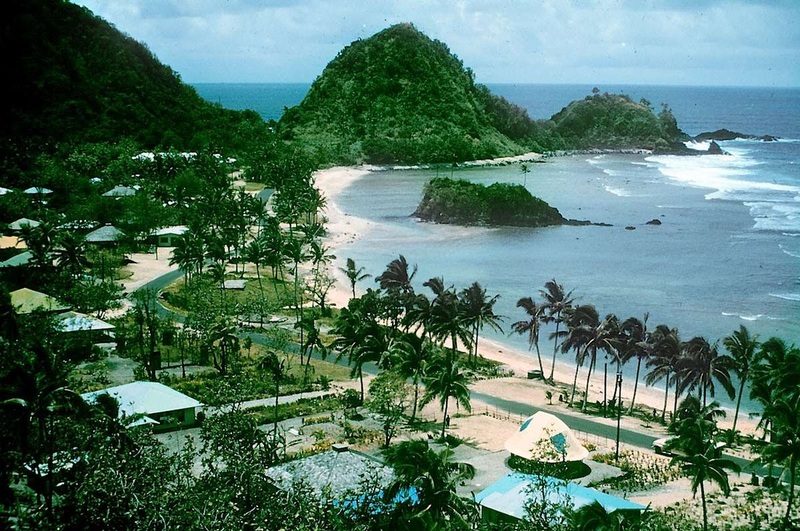 It is recommended that visitors visit the American Samoa National Park Center before exploration of the islands begin. It is said that when it comes to entertainment, no one does it better than the Samoans. Samoan nightlife varies from nightclubs, to bars, to cultural shows and events. 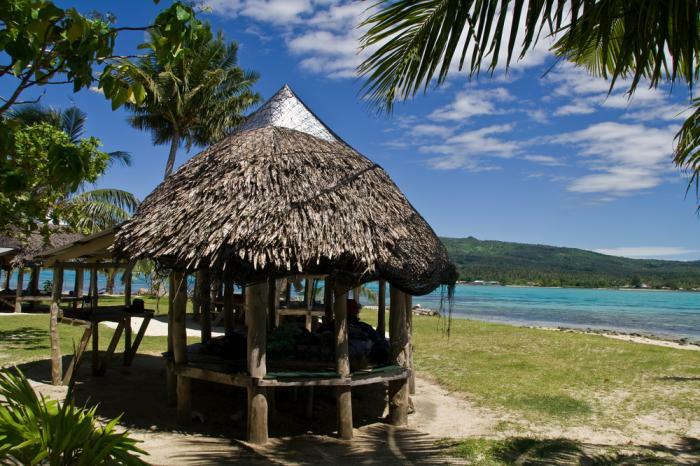 Visitors looking for a lively night of bar-hopping with plenty of bars and nightclubs to choose from should visit Apia. Most of Apia's bars are open nightly until midnight except on Sundays. There is a small charge for night clubs, but bars are free. Most hotels also perform fiafias, which are breath-taking Samoan dance performances accompanied by a Samoan buffet. The islands have a variety of snack bars, cafes and restaurants especially in Apia, Nu'uuli and Pago Pago. Sadie's Restaurant and Bar is located in Pago Pago. They serve American-style breakfast, burgers, sandwiches and main courses. Another restaurant is The Deluxe Cafe in Nu'uuli. The Deluxe Cafe serves fresh fruit, banana pancakes, American-style soups, salads, sandwiches, burgers, fried chicken, shrimp, fish and steaks. In Apia, visitors can find everything from Chinese, Japanese, Italian, European to traditional Samoan dishes.